This award-winning winery was established in 1995 by the legendary Jackson Family Wines. Named after the native ‘Lokoya’ tribe who used to inhabit Mt Vedeer and with whom they share the utmost reverence and respect for the land, the Lokoya Crew have been locally and affectionately dubbed ‘The Mountain Boys’ for their affinity to these mountains; and with Chris Carpenter at the helm they can seem to do no wrong (just ask Parker). Comprising a collection of four distinct Cabernet Sauvignons from four of Napa Valley’s most celebrated mountain appellations; Mount Veeder, Howell Mountain, Spring Mountain and Diamond Mountain, these wines are produced in tiny quantities using only natural, indigenous yeasts and no fining or filtration. For these guys, Cabernet Sauvignon is but the aperture through which to articulate the pure expression of terroir and vintage. 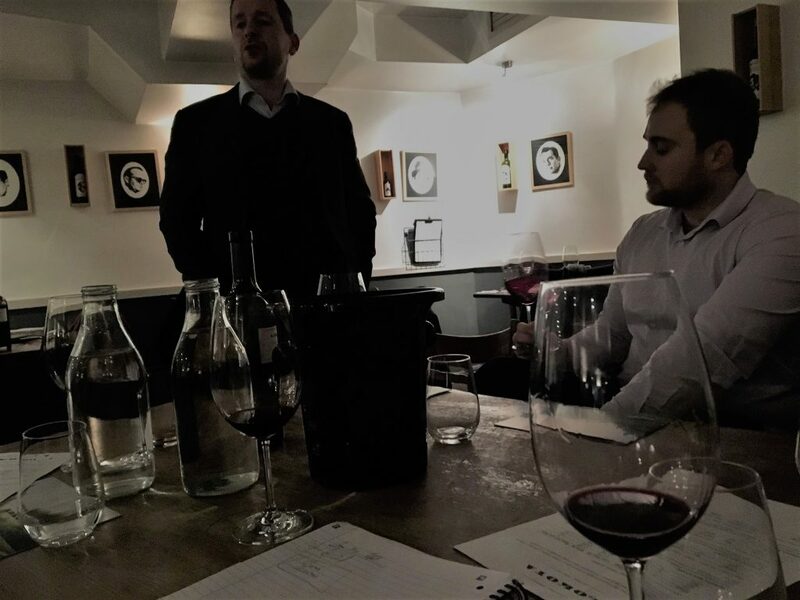 Lokoya is fast gaining recognition as producing some of the finest Cabernet in the world, and after we were lucky enough to taste through their range last week with the passionate Dimitri Mesnard, we can see why. First up, Diamond Mountain 2007, situated in the northern reaches of Napa Valley. This is not your average Californian Cabernet. No young, green flavours here, no cloying jammy fruit, no eye-watering heat. I’d have been hard pushed to guess blind that it was single variety and even more so that it was 100% Cabernet Sauvignon. There is so much balanced and nuanced complexity, the tannins so supple and integrated, nothing to hint at the hefty 14.5%alc (thanks in part to their open top fermentation process). First soft, velvety chocolate and hazy bramble fruits envelop the palate, leading into smoked, dried herbs, a hint of eucalyptus (most surprising) and even a touch of cured meats, dried mushrooms, cloves, white pepper and cinnamon – I could go on. None of these intriguing flavours jump out at you, but rather delicately present themselves over the course of a mouthful like breaking waves on a quiet beach before disappearing into each other. This wine was the most complete of all the wines we tasted, having seen the most age, and therefore a perfect reference point for the wines to follow. Next, we tasted the Spring Mountain 2009, situated high up on the Eastern slopes of the Mayacamas Mountains were cool daytime temperatures and deficient and highly variable soil help to give this wine it’s unique character. This was the most brightly aromatic of the bunch and despite only 2 years behind the Diamond Mountain, it tasted much younger. Lively red and black fruit dominate the palate followed by a more intriguing sweet perfume of cherry blossom, blueberry, raspberry and a melange of spices. There is more green here, in the form of menthol and under-ripe mulberry, supported by grippier tannins and a generally uplifting mouthfeel. The third wine, Lokoya Mt Vedeer 2011 comes from vineyards situated on the steepest of slopes forcing the vines to delve deep into the volcanic soil in search of nutrients. This is more what I’d expect from a Napa Cabernet, although even with its muscular physique, rugged tannins and luscious cherry, cassis and raw chocolate profile, it manages to avoid even a hint of jaminess. This wonderful wine makes for a weighty mouthfeel, filling the palate with rich blueberry, cassis and blackcurrant leaves. Earthy notes emerge as the wine unfolds, the smokey meat making a comeback here to counter its tight red fruit and accumulating in an extraordinarily lengthy finish. This is all the more impressive since 2011 was a tough year for Napa generally. The Mount Howell 2012 was a different creature all together. Still a deep purple, an exhilarating minerality bordering on metallic in its mouthfeel is the first thing that catches you by surprise here and lifts the whole palate to a new dimension. Then comes that brilliant blueberry – this time enriched with liquorice, charcoal, slate and pungent dried herbs, nettles and blackberry leaves. The firm, dry tannins beg for a steak and 20 years in cellar. We were blown away by the quality of these exceptional wines, the integrity and vision of Christopher and the Lokoya family is evident throughout the whole collection. Each was a genuine reflection of the terroir, vintage and grape and the whole tasting left us with the feeling we had traversed the mountains ourselves, or more than enough to warrant a large glass of Cabernet Sauvignon at least, Cheers!